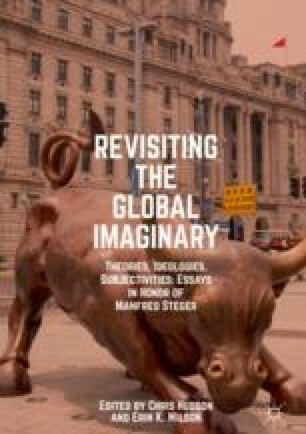 Globalization, as Steger’s own Career of a Concept (with Paul James 2015) lucidly shows, was once a word, an idea, a concept. Rather than debate its referent, as so many academics have been inclined to do, and indeed some dismiss it as merely a ‘buzz word’ (more than once in my hearing), Steger took it seriously in quite an unusual way—interpreting a word, in order to change the world. It is important to reflect on just what he has been able to do, and—the burden of my thoughts here—what he was up against. Celebrating his success in a festschrift is timely and perhaps even overdue, but rather than construct a victor’s history, I am proposing to step back to the world as it was when he embarked on this project. This is because—with all due allowance for Steger’s exceptionalism—it is still very much that way. Or in other words, there is still plenty of work to do, given that exceptions test or ‘prove’ the rule, but rules and rulers remain.